It’s been two weeks and there’s lots going on at the Playground! 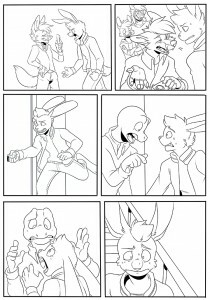 Firstly, the next (inked) page of GANG TROUBLE is ready for viewing! Cwoissant really continues to outdo herself on every page! The character expressions, the sense of movement, of pacing– the mark of a good comic is that you can pretty much tell what’s going on even without the words! Kudos to her!! 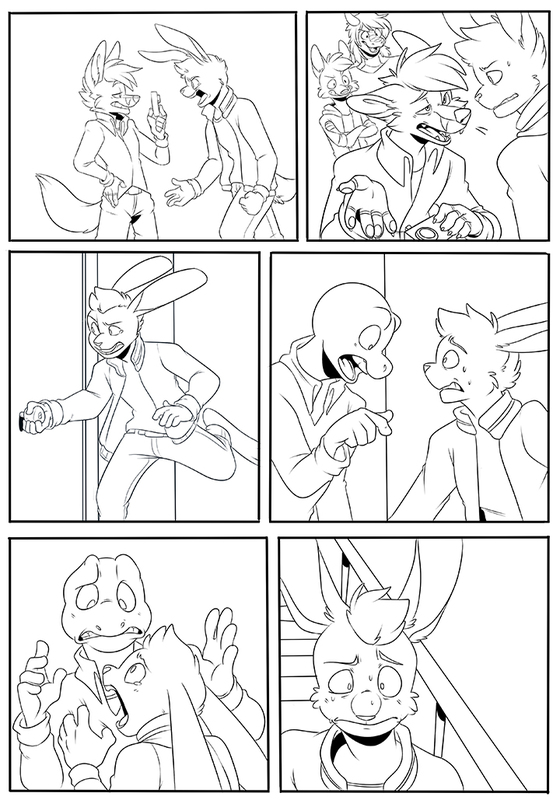 Of course, the Playground’s Patreon patrons got to see this page last week. By pledging $1.00 — that’s ONE DOLLAR– or more per month, Patrons get to see any uploads meant for the site FIRST. And there’s more rewards the more you pledge! And all of it goes to bringing you MORE diaper art. I want to say a big “Happy Thanksgiving” to my American supporters out there, I hope next week’s Turkey Day is super fun with lots of good eats and lots to be thankful for! ISB continues to be published FOR FREE here on the Playground at the rate of a page a day! If you haven’t yet read it, or even if you just want to re-discover it, it’s available under The Fridge link at http://karisplayground.com/the-fridge , as well as the current run of World of WETcraft, my World of Warcraft parody with diapers and wet pants galore, and various fun things I’ve seen on the web or had commissioned privately for myself! It’s been a great two weeks for the Playground– it would be super appreciated if you could all spread the word about the Patreon, and help support diaper comics and creating new content! The URL is http://www.patreon.com/karisplayground .